HAVANA, Jul 1 2017 (IPS) - Almost no Caribbean beach escapes erosion, a problem that scientific sources describe as extensive and irreversible in these ecosystems of high economic interest, that work as protective barriers for life inland. 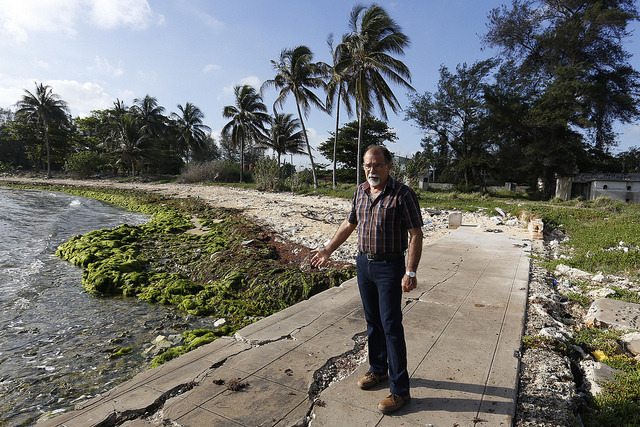 “The phenomenon of erosion is widespread in the Caribbean,“ geographer Luis Juanes, a researcher at the recently created state Marine Science Institute of Cuba, who participates in the scientific coordination of a project of the Association of Caribbean States (ACS) to protect sandy coasts from the effects of global warming, told IPS. The regional initiative “Impact of climate change on the sandy coasts of the Caribbean: Alternatives for its control and resilience“ could begin to be implemented this year, after negotiations between the ACS and the main donor for the project: the International Cooperation Agency of South Korea. However, the scientist pointed out that research from local and foreign authors found this kind of deterioration even in pristine beaches on uninhabited keys, which can only be explained by the rising sea levels and other consequences of global warming. For this reason, the ACS, founded in 1994, which groups 25 countries of the Greater Caribbean region, initially approved in 2016 and ratified in a summit in March this year this proposal set forth by Cuba, within a broader programme of adaptation to climate change. This programme also includes projects against the invasion by Sargassum seaweed and exotic species such as the lionfish. To finance the programme, the ACS raises cooperation funds to mitigate and adapt to the new climate scenario in this diverse region of highly vulnerable small islands and mainland countries that have in common developing economies with limited resources for environmental preservation. So far, the project against erosion of the sandy coasts has received around a quarter of a million dollars from the Netherlands and Turkey, said Juanes. And a contribution of 4.5 million dollars from South Korea is foreseen to achieve the targets set out during its four years of implementation. In addition, each country member of the ACS that confirms its participation will contribute funds and a logistic base. The initiative´s coordination has already attracted the interest of Antigua and Barbuda, Colombia, Cuba, Dominica, Dominican Republic, Guyana, Haiti, Jamaica, Saint Vincent, Saint Lucía, and Trinidad and Tobago. The initiative seeks to improve practices of preservation and restoration of beaches in the Caribbean, by establishing a regional network to monitor erosion, developing a coastal engineering manual, training technical and professional staff, generating scientific exchanges, and providing equipment, among other objectives. “Part of the topics we are discussing with the Koreans is the collaboration of scientific institutions from that country to contribute a basic infrastructure with some modern technologies such as drones and coastal radars,“ said Juanes. A key goal is obtaining data to assess the effects of coastal erosion up to 2100 in the area of the Greater Caribbean, which must ensure sustainable use of sandy beaches, its main natural resource for the tourism industry. Many of these countries depend on the entertainment industry, particularly small island states where tourism represents an average 25 per cent of GDP and is the sector with the highest rate of growth. Juanes pointed out that the concern with the issue emerged “mainly in the major tourist centres“ in the region, in the last decades of the 20th century. He said the countries have adopted coastal protection legal measures and engineering solutions on beaches frequented by tourists. Pioneers in this area, Cuban scientific institutions and state companies have shared their local experiences in coastal protection and restoration with countries such as Haiti, Jamaica, Mexico and Dominican Republic, said the scientist. He warned that the “touristic development model used is unsustainable“ and the Greater Caribbean should halt the current deterioration of the sandy coasts, since it lacks the resources to maintain artificial beaches, like the ones created in the U.S. state of Florida. “If our Caribbean beaches and ecosystems deteriorate, in a few years the competition with tourism spots within the United States itself will be overwhelming,“ he said, referring to the main source of visitors to the Caribbean region. 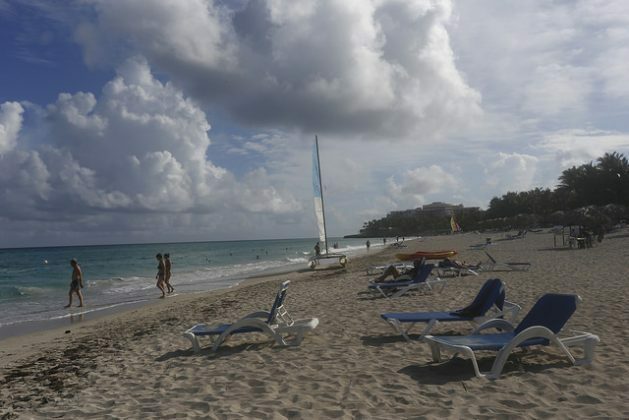 While the beaches of Varadero, in Cuba, the Riviera Maya, in Mexico, and Punta Cana, in the Dominican Republic, to mention some examples, are financing their own studies and costly maintenance efforts using sand extracted from the depths of the sea, many beaches outside the tourist routes are neglected and affected by pollution. In response, the ACS project will prepare “at least three beach restoration projects in three hot spots in three different less well-off countries,“ said Juanes. But he said that they will only “prepare the conceptual framework, do the fieldwork and modeling,“ since the implementation will cost millions and will be up to the countries themselves. 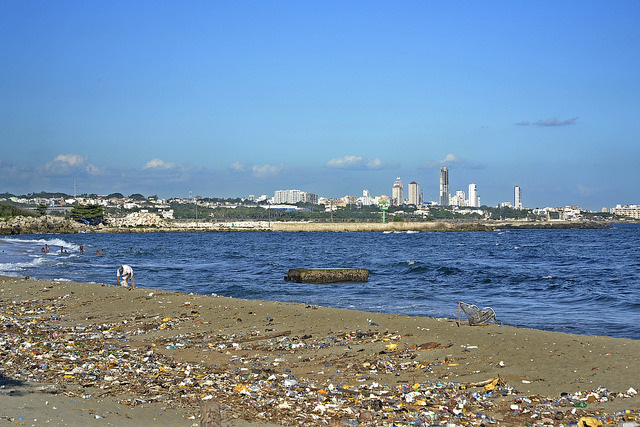 “A community-based and eco-conscious solution is that the people adopt the beaches that they benefit from,“ said Ángela Corvea, the coordinator of the Acualina environmental education programme, which mobilises the authorities and the community in cleaning up the coastline in the Havana district of Playa, on the west side of the Cuban capital. “Nobody cleans those beaches,“ lamented Corvea about the area with many mainly rocky beaches and only a few sandy ones. For this reason, Acualina has been organising children and young people since 2003 to pick up garbage in three neighborhoods along the coast, including La Concha, the only sandy beach accessible to the public in the municipality. “These community actions, if all the people that use the beaches would particpate, would improve the preservation of the beaches,“ said the activist. “And to do these things, nobody should wait for an order or decree,“ she said, referring to the limited practical effect of environmental laws in different ACS countries. In another Caribbean island nation, the Dominican Republic, IPS saw one of the most blatant examples of the deplorable environmental situation on the many beaches that have no tourism. There are heaps of garbage on the dunes of El Gringo beach in the highly industrialised Dominican municipality of Bajos de Haina. “The problem of pollution on the beach has been discussed a great deal in the neighbourhood council. It needs to be cleaned and dredged,“ said Mackenzie Andújar, a 41-year-old local plumber.